Regardless of what people may choose to believe, shoes are a very important part of any outfit. It doesn’t matter the season, temperature, or the time of day - your feet should always look just as sharp as you do. I take shoes very seriously, and always have. I honestly have more pairs of shoes than I do clothing at the moment (that is a whole other entry), and it is great to know that I actually do have footwear options. Like everyone else, though, this “warmer” time of year calls for an overhaul, especially if sandals are a part of your spring/summer wear. You don’t want to look like a “D”. See previous entry for definition. I am giving you 5 Spring and Summer footwear options. You do not need to purchase all 5, but I would recommend purchasing potentially 3. Dress, casual, and sandal. Let us proceed. 1. 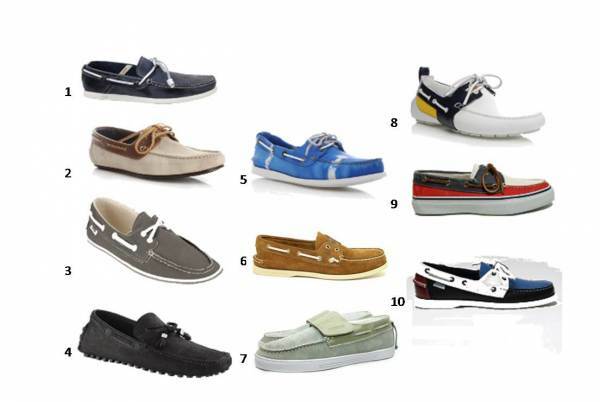 Boat Shoes (Photo #1)- A great alternative to the sneaker, but not so dressy you feel out of place, the “Boat Shoe” is a staple in this season’s wardrobe, and I feel like it will be sticking around for years to come. They are classic, and are definitely not new on the footwear scene. They have been updated with striking colors, prints, and detailing such as different laces or stitching. I am an advocate for these, and I am enthused to purchase a new pair for this Spring. I think they go from work to play, from day to night, from casual to dressy very easily. Great to travel with, because you literally can just bring one pair of shoes and have unlimited outfit options. I am a huge fan of #’s 3, 5, and 10 in the first photo. For me, I would choose a pair with an interesting color block, or maybe some color in the laces. Classic, but living on the edge a little more. 2. Toms (Photo #2) - Anyone who knows me, knows that I am a huge advocate for Toms shoes. Aside from how great the cause is (www.tomsshoes.com for more details), they are honestly one of the most comfortable pieces of footwear I have ever owned. They are lightweight, and now come in several different styles. The paid pictured in photo #2 are their Classic pair. 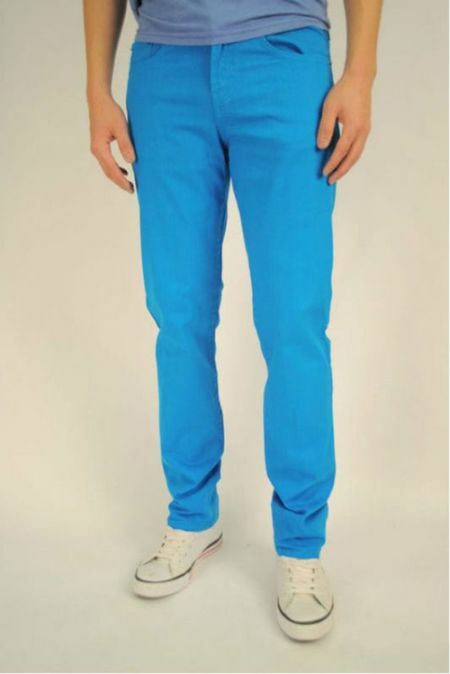 A great slip on for shorts, cuffed pants, or a slim fit pant in the spring. THey come in every color of the rainbow, and every graphic print imaginable. Am inexpensive option, you could feel good about getting more than one pair. My favourite Toms are the Classics, Cordones, and Botas. I will be getting a new pair for Spring, and will probably go with the Cordones for a change. They are just so carefree, it makes me want to have an adventurous Summer. Get on it! 3. Oxfords (Photo #3) - To begin, I am still drooling at the Oxfords in the photo above. I need a pair. If anyone would like to purchase them for me, I would not say no. Anyways, moving on. Lace up Oxfords are a great look if you are more fashion forward, and want to make a statement this season. Paired with a cuffed short and tucked in shirt, you will be the only guy anyone is looking at it. Just as the Boat Shoe, Oxfords are making a huge resurgence after being out of the fashion scene for a while. Very comfortable, and definitely a shoe that can last you a lifetime if you buy a classic color and take good care of them. 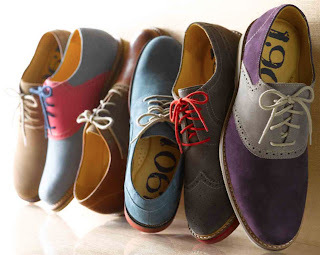 Obviously, I am intrigued with the more forward color choices of the Oxford’s in the above photo, but if bold color isn’t for you, go for a tan or grey tone, both very “now” colors. Everyone needs to dress up at least once over the Spring or Summer, so don’t be the “D” who wears shorts and flip flops to a wedding. Please. 4. Lace Ups (Photo #4 ) - Vans are one of my personal favourites as a casual shoe options, and I have been rocking this look for years and am still all over it. Lace ups are great for any season, so they are a good investment. For days when you are just hanging out, doing the beach thing, the shopping thing, or just going on general outings, a lace up will happily get you through an entire day. They look great with a straight leg pant, cuffed or otherwise, and will always be one of my top choices during short weather. Just as Toms, you can get them in any color of the rainbow, and even in prints. If you are a shoe enthusiast, owning a classic color and a more fun color will give you unlimited options. They are very well priced, and with my experience, are of fantastic quality. 5. Sandals (Photos #5) - Sandals are a tricky thing, and can easily make or break your outfit. If you are bumming at the beach, a pair of Old Navy flip flops will do the trick if you must. In all other situations, though, it is NOT feasible to wear a $2.99 pair of sandals with your outfit - Sorry. 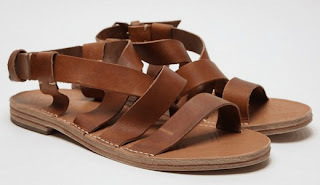 Right now, enclosed sandals for men are very popular (see Photo #6), as they look great, work for casual or dress, and basically match any style of trouser or half trouser (good one! ), that you could wear over the Spring and Summer months. If purchased in a great camel color, or the always safe, black, you will be all set. I enjoy a good flip flip just as much as anyone, and I rock them a lot during the summer. I am going to make a conscious effort to wear them less, and to be more fashionable even though I will be hot flashing for 4 months. Do not wear Hawaiian print flops. Do not wear Ed Hardy printed flops. You know what - do not wear any kind of print on your flip flop. I genuinely do not care that your foot goes on top of it. Every single time you lift your foot to take a step, someone will have the misfortune of being witness to that print. Stay classic with your sandals. Honestly, for men, sandals are a statement in themselves. No matter what your budget, job, or climate, there are always fashionable, masculine options for your feet to keep you looking good. Comfort is a must during these seasons of leisure, so do not fully compromise that for a “look”. Always remember, that no matter what the season is, people still see your feet. Shoes ARE a part of your outfit, and if you look amazing up top, and like hell down closer to the ground, it basically cancels out all of the good outfit vibes. Get a few options, and keep them on hand for all of your Spring and Summer fun! Any questions or recommendations? tmelong86@gmail.com . Don’t be shy! I will begin this entry by saying that, respectfully, I have made up (unless it was used before this), the term “D-neck”. Of course, this is short for “Douche Neck”. You may like this, or you may think I am an idiot. It wouldn’t be the first time that I endured this fate. I realize that my taste is different than others. As you can probably see by now, aside from the odd avante garde, I have lately been a fan of the classic indie look. The last 2 photos show a perfectly fine and dandy, classic V-neck. The first 2 photos are of overdone, unnecessary versions of D-necks. I have been a fan of the V-neck before it was the hot new thing. I swear. I have never been big on being choked out by what I am wearing, so it was always my favourite option. I remember, as a kid, stretching out my crew necks. Maybe I was starting a trend as a 7 year old and didn’t even know it? Fantastic. 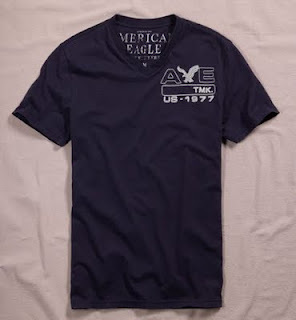 If you are going to wear a tee, a V-neck is a great, comfortable, and now very trendy option. Whether on it’s own, or under a button up or cardigan, try to keep it simple. Personally, I am a fan of a solid color. They will go with everything, always be in style, and will not phase out. Purchase 1 or 2 striped or printed options for when you want to change it up, but other than that keep it classic. 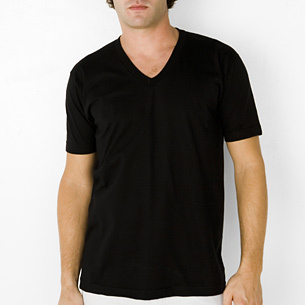 A V-neck should be in the shape of a “V”, clearly, and should be enough of a slope that it is noticeable. What bothers me most about the douche version, is that it really is a glorified version of a crew neck. They are made for people who don’t have the balls to wear a real V-neck, and even though they may laugh at our necklines, they are the ones that look like idiots. Let’s get real here. Do it - or don’t do it at all. Just wear a crew neck, and save me the trouble of assuming you are a bro. Don’t be a bro. In photos 1 and 2, you see prime examples of what I have deemed a D-neck. Embroidered logos, metallics, and other various unnecessary tidbits turn a perfectly good shirt into a bad idea. I just think that tees are made to be simple, and should stay that way. Taking a trend like a V-neck and running with it is great, so don’t over do it with add ons. You really don’t need to, and will impress people more if you do not. tmelong86@gmail.com - Send me a message if you have any requests or anything at all, really. Thanks for reading, and keep stylin’! Lately, colored denim has been a huge trend for the ladies. 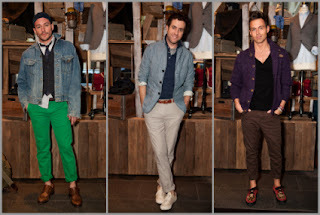 Thankfully, it has merged over to men’s wear, and it is growing in popularity. From bright neon hues, to a more subdued look, colored denim is going to be huge this spring for men, and I am really feeling it. When something first hits the market, I never usually love it. This happens to me all of the time. People think I am harsh, but really I am just critical until I decide if I want to commit to liking a new trend. Trend-whoring is painful, and I hate when people do it. Like something before you love something, you know what I mean? I just purchased my first pair of colored denims. 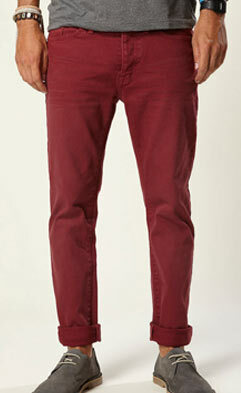 They are a slim-skinny fit, and they are a dark maroon with a brown undertone. I am a fan. They look great with any color scheme, which is crucial. I didn’t want to dive right in and get canary yellow just yet. Maybe I never will. The right kind of person can pull of the neon denim, and I don’t know if it is me. I am tall, large, and I am mildly stimulating to look at without even trying to begin with. It may be overkill. If you are going to wear colored denim, keep it simple. Personally, I am definitely incorporating my current love for all things plaid with this trend. A plaid shirt with colored denims look great if they are in the same palette, or are neutrals. For example, my maroon jeans would look great with a black/grey plaid mix, or a brown. Something that has brights in it may look a little too loud for every day wear. Be careful not to over do it. If you look like you are trying to hard, it probably is because you are. If you are going to wear neon colored denim (yellow, red, blue, green, etc), make sure to keep the corresponding outfit extra simple. Basic shoes, a t-shirt, and that is about it. A solid colored hoodie works with both looks as well if you need a little bit of outwear for mornings or evenings as well. Where I live it is still quite cold. I am not on this yet, but when warmer weather comes, cuffing your colored denim is absolutely necessary! 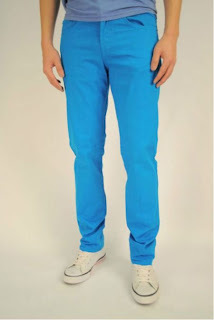 I love the look of a cuffed pant, and colored denim is no exception. 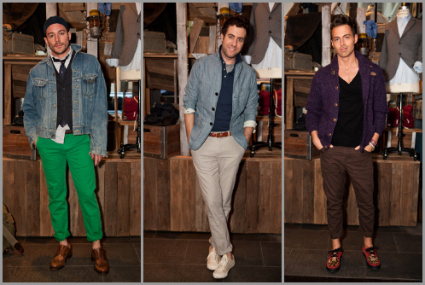 Rock the cuffed look with some simple canvas shoes, a t-shirt or lightweight spring button up, and you are good to go! How easy. Depending on the weather, cuff up to 2 rolls, but never more. Don’t roll your pants up until you create shorts. Just buy shorts, please. They are so “on trend” right now, you can find colored denim almost anywhere. Some affordable brands to look at for this right now are Gap, Tommy Hilfiger, H&M, and Joe Fresh. I am sure there are many more higher end options out there or fantastic quality, but in my opinion, if you are a man this trend is not going to be in forever. Don’t cash in your life savings and bring all of your old, classic denim to Good Will. It is a “look”, and as I have said before, less is more. I would say 1 - 3 pairs of colored denim is more than enough for an entire seasonal wardrobe. Then again - I don’t know you though, and you aren’t me. Do as you will. All I can do is guide you in the right direction. If you have any questions, or would ever like to contact me, feel free! Men's Accessories - Take 1: Bags, and other appendages. I am going to try and do a series of posts relating to various areas of men’s accessories. Initially, I was going to write one fluid post, but came to realize that the world of men’s accessoriesh as grown significantly and that I can not condense it all into one. I start with bags. 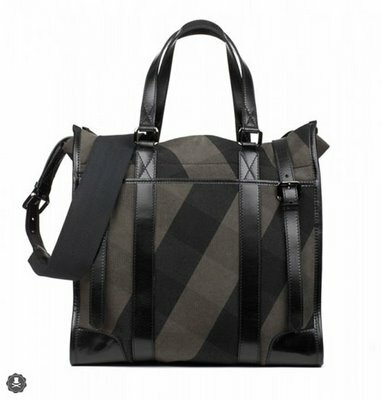 Whether it be a messenger, a smaller satchel, an over the shoulder, a duffle, or basically a straight up purse - it is becoming more common for men to carry bags. Personally, I have for years. I never really fully understood how people travelled without them. I mean, I know women put their entire lives in their purses, which is absolutely not necessary, but men must need things as well? I know I do. I do not want to see every single man walking around carrying a bag - it definitely does not suit everyone. They are usually outfit dependant - that is why I stick with something classic, and of course, black - my color of choice for mostly everything (other than plaid). A good introduction to owning and carrying a bag is the “messenger” type of bag. Generally big enough to fit , say, a laptop, some books, etc., they are the most discrete option to carry a bag, and not have it look like you are carrying a bag - if you know what I am saying. They hold a lot, look masculine, go over one shoulder, and easily come in leather and matte solid colors. They pass off easily and don’t get too much questioning. They look professional, yet still give you the joy of carrying around whatever you want. Right on, I kind of have a “tote” style bag, that zippers closed. Essentially, it looks like a tall bowling ball bag, and works great. I can either carry it or put it on one shoulder, and it holds a ton - and I mean a ton. Not that I ever fill it though, because that is not necessary. It is black suede, and wears well. Just wipe it off when it is dirty, I feel comfortable throwing it around, and it is not too “purse” like. Just because I know all are dying to know, I will tell you what is in it. Deodorant. Wallet. Business Card Holder. Mints. Pen. iPhone (when it isn’t in my hand). Magazine. Keys. Earbuds. That is it. I do not have 100 things in it. What I wonder, though, as I said before - what the hell would I do with all of those things without a bag? I guess I have just grown accustomed to it. When I go to work, I also put my full lunch in there, and usually whatever else I need to bring. If I am just running into a store, I usually bring my wallet and leave the bag behind, but, the functionality of it exceeds itself. I was never concerned if I looked silly carrying a bag - I am all about functionality lately. Now, do not start carrying around something that looks exactly like a purse. Don’t use something that is overly detailed, has anything dangling off it, and don’t flail it around. The purpose of a man carrying a bag is for function, not initially for fashion. You want it to be stylish, yes. You want it to reflect your personal style, yes. If you want to stick with that “easy and cool” kind of vibe, though, keep it simple. I am sure I will be rocking a bag for a while. I have grown used to having all of my things with me. It doesn’t bother me, really. It just seems like another appendage. The bag pictured above is a tote style bag made by Burberry. If anyone would like to purchase this for me, I won’t say no. If you would like any more photos or info, feel free to contact me. When asked to write a post about the cuffing of the pant, I guess it never occurred to me that some people questioned it, really. Lately I have been cuffing like my life depends on it, and for once, not over thinking it. There are both fashionable and functional reasons to cuff, I will begin with the first. Runways, celebrities, models - so much cuffing on the men’s wear front recently. Whether it be a full on suit, sockless, with cuffed pants - or a tshirt with chinos and flip flops, it is everywhere in fashion. Sometimes, what is “in style” is so easy to achieve. Am I a huge fan of a full on tuxedo with cuffed pants? No. Actually not at all. Am I a fan, though, of going sockless with a suit and amazing shoes? Absolutely. Not everything needs to be over thought or difficult. As I have said before, you should never look like you are trying. How embaressing. Be aware of this while cuffing. I live in Atlantic Canada. Sometimes cuffing is out of necessity. Right now, I am personally mixing the two. I don’t want to wreck the bottom of a great pair of pants because of the salt and snow. There is NOTHING I hate more than the look of frayed, wet, disgusting pants. Give me a break. I bought some practical and stylish boots - when I cuff, it shows off the boots and the pants look great also. Win win. I also have been cuffing and just wearing a slip on or a loafer for a more casual look, sometimes with a colored sock to spice it up. It is all in what you are comfortable with, and how much you cuff. I do not recommend, however, (if you live in a cold climate), to go without socks. You will look foolish. For all you warmer climate habitants, go for it. You would probably look foolish with socks on. On to the most important part, as I am sure you were wondering - how much to cuff!? Well, to start with, make sure the pants you are going to roll are the correct length for you initially, so that when rolled up, will look correct. Choose a slim fit or a skinny fit. Obviously you can not cuff a boot cut. Sidenote: Please do not wear bootcut anything. Personally, I usually rock the double roll. I find that one roll sometimes seems to flip down. I enjoy the look of either. For jeans, I would say one roll. It looks a little more undone, and more on season. Clearly this goes for pants as well. When the seasons change and you are seeing more chinos and khakis, I personally enjoy a double roll. All in a matter of taste, really. Sidenote #2 : It is so amazing when you have worn the pants cuffed enough times that it is nice and flat and worked in, like it was meant to be. If you are wondering what you might pair with a cuffed pant, I understand. Sometimes it feels weird with certain articles. If you feel strange, don’t do it. Chances are if you are feeling out of place in your outfit, it is because you are. A cardigan and t-shirt looks nice and casual. Throw on a hat or accessory of some sort if you are that kind of guy. Plaid or flannel, my personal choice, is easy and is fairly on trend with the look. I am sure no trend will ever get me fully out of plaid. If you want to dress it up a tad, a dress shirt totally works as well. 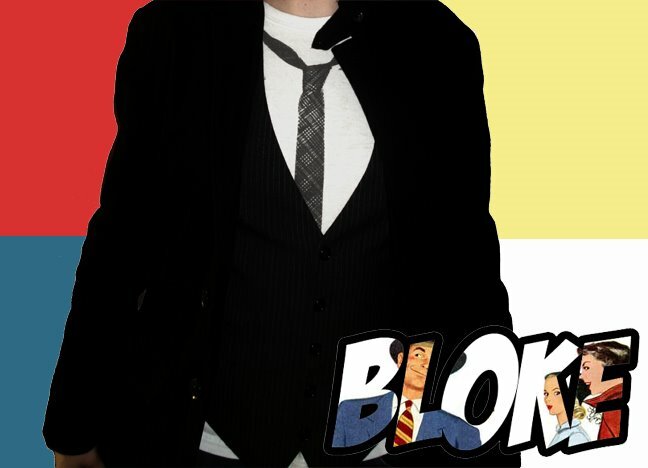 Throw a tie and a cardigan over it, and you have a whole other look once again. It depends on your style, personally. If you are new to it, and want to do it strictly because it “looks cool”, just go ahead and do it. Chances are once it is “out”, you will roll them back down like nothing ever happened. It really doesn’t look over done if you keep it casual and fresh. If you are doing it for function, and doing it often, just make sure the pants fit really well, and that you don’t cuff them half way up your leg. That is definitely not needed. Always make sure you are wearing clean, stylish footwear and you are set! As I said before, I am a fan. It is all in what you like, and how you want your image to be portrayed. Change it up, and have fun. It is only a cuff, you can always undo it! Note: Credit to the random guy in the photo I found on the web. Lookin’ sharp! Every man, young and old alike, look to the music industry for fashion tips. 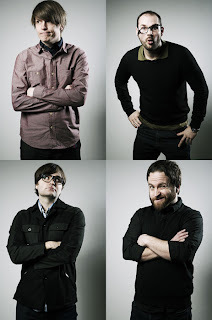 Death Cab for Cutie - aside from being a fantastic band, musically, they pull off "effortless" very well. Or at least their stylist does for them. The look of a sweater over a button up. 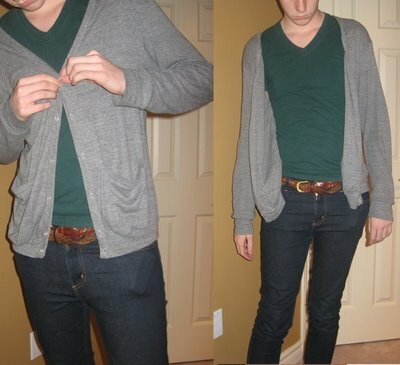 A cardigan over a button up. It seems almost too easy to look great, Yes? Sometimes it really is that easy. Looking effortless, not overdone, muted - all of these things are actually fantastic for men who want to look stylish, but not stand out overly. I really enjoy the button up on top of button up, as seen in Photo #1. Interesting. On a grooming level, which is very important, their neat hair and well cropped facial hair also looks great. Comb your hair (wash it first). Trim your beard. This is also not a large hurdle to master. Hair is my thing, it is what I do. They look like themselves, and it works with what they are wearing. Fashion does not need to be a largely complicated situation, at all. A great look doesn't need to take several layers, have flashy accessories, or take 10 minutes to put on. Luckily, when you are a man, it is as easy as putting on a crisp shirt and a great sweater. Get a great fit in a great color - build the basics on your wardrobe. No excuses. You now know how easy it is. It is Christmas Eve, and I am in the woods. It happens to the best of us. While packing for my overnight parental stay, I thought to myself, "Is there even a point?" It is not like I live in the mecca of fashion or culture where I live normally, but I take pride in putting myself together well. When putting my bag together to come spend a night with my family in the country, it was honestly harder to do than packing for a trip to the city, a show, or an event. I felt like I didn't want to "waste" a good outfit on being in the back woods with my family, but then I came to my senses and realized that you need to dress for yourself as well as others. I refuse to let myself go just because I am chillin' with people in holiday sweaters and winterized Crocs. Clearly I can't sway everyone. Also - I just went shopping, and I need to break everything in. In my new Ben Sherman overnight bag (which I thought to myself, I might as well use a Sobeys bag...Hahaha) I put in some slim fit dark wash jeans, 2 flannels, a square cut silk tie, a cardigan, and leather slip ons. I came to the realization that even my family kind of expects some sort of fashion extravaganza from me, so I better pull it out. I feel confident in my holiday wear. Good for photos, comfortable. No, it isn't D&G 2012, but it is better than a sweater with a polar bear on it, like my Dad is currently wearing, God love him. I guess what this made me realize, is that you really do, always, need to do things that make you happy. Do it for yourself. I think too many people dress for others, wear labels for status, and don't care enough just because no one "important" will see them. If I am going to be in the woods, you are damn straight that I am going to look fantastic. Rock out your Holiday wear tomorrow, boys.